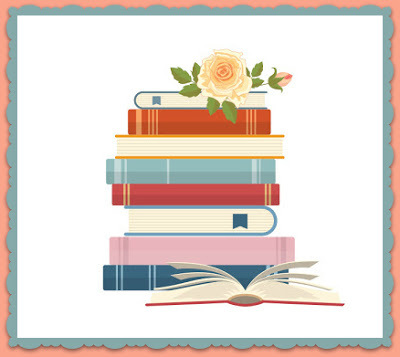 Enter this giveaway for a chance to win books of choice worth $62. Good luck! My favourite city to visit is Auckland, New Zealand. It is multicultural and beautiful and I have 2 daughters living there. I love Barcelona; the cultural mix, the architecture, artwork and history, the food and the people. Haven't been to many cities but -probably Birmingham. I loved going to their market to get fabric and sewing bits at great prices. That's tough, I guess it's both London and Munich as each city has it's own flair and so many things (eg museums and other sights) to discover. Loved visiting Marrakech - so vibrant and multi-cultural!! I think London - there's so much to do in it! And my daughter and I love going to West End musicals! What a tough question for me to answer. I loved Sydney, Australia and Regensburg, Germany, Washington DC but I guess my heart belongs to Manchester, England. Paris, I love Paris, as France is my birth country, I love to visit a couple of time a year. I'd love to visit Paris, and I loved NYC when I visited a few years ago. Key West is my favorite city and luckily I get to visit there next month! London, UK and Berlin, Germany. I have not visited London yet, but it's already a favourite. Aside from the lovely little coastal community I live in. I'd have to say New Orleans. There's always something new to see. i have never visited new york but i always adore it. and i have ever visited denpasar (Bali) and i loove it. Already visited New York so now I'm thinking.. Sydney! The best place I have visited is San Francisco. Only visited once but some of my family live over there so hope to go again sometime. Would love to go to LA. Like to visit the Bahamas. Heard good things about the place. I'm not a huge fan of cities, but I'd visit Barcelona if I could. My favourite city to visit is Jerusalem. I love visiting a city named Aveiro in Portugal. I don't have a favorite, but I'd love to go to Sicily. My favorite city to visit is Niagara Falls because it's absolutely beautiful. It's also full of wonderful shops. Of the cities I've visited, I'd say Edinburgh, Scotland. So far, out of all the places I've visited, Copenhagen is the one that has left me speechless. Absolutely incredible city. I love Paris. It's the only city I think I could live in. Every year it's that city that is the closest to our beach when on holidays. I like visiting San Antonio, Texas. The food is great and, there are a lot of entertainment and attractions. I love to visit Nottingham :) There are some wonderful shops there and its not too far from where I live! Las Vegas! Always so much to do and see if you have a decent budget.